The science and development of vision correction has come a long way since the invention of eyeglasses. There are now numerous vision correction options available on the market, and today’s article from your primary eye care provider, Park Slope Eye, is about the basics of this particular type of vision correction. Here are three things you need to know when considering orthokeratology specialty lenses. Orthokeratology, often simply referred to as ortho-k, involves the fitting of custom-made gas-permeable contact lenses specially engineered to help improve vision overnight. Unlike regular corrective contact lenses, you don’t have to wear these specialty lenses during the day to see better. Ortho-k lenses reshape your cornea while you sleep, allowing you to enjoy up to two days of temporary vision improvement after wearing them overnight..
With ortho-k lenses, patients can expect to achieve 20/20 vision or better. What Vision Impairments Can Ortho-K Lenses Improve? Ortho-k lenses are usually used to correct myopia, or nearsightedness, though they can also be used to correct other vision problems such as astigmatism, hyperopia and presbyopia. Keep in mind that the desirable effects of ortho-k lenses are based on the severity of your eye problem. 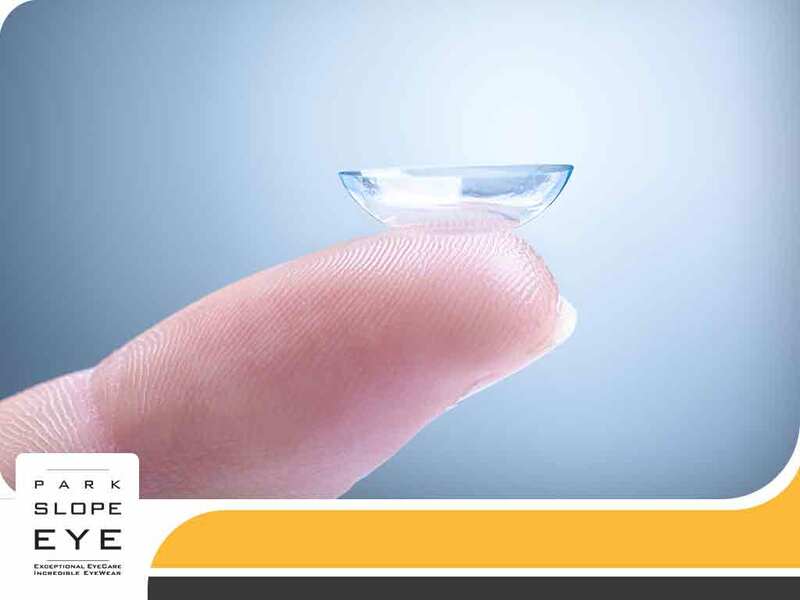 It’s best to consult your eye specialist to confirm whether you can benefit from ortho-k lenses. if you prefer a more permanent vision correction solution, you may want to consider undergoing refractive surgery instead. Who Can Wear Ortho-K Lenses? Your optometrist will decide whether ortho-k lenses are a good option for you. Typically, patients with mild-to-moderate myopia are good candidates for these specialty lenses. Patients who cannot undergo LASIK surgery due to dry eyes can also choose to wear ortho-k lenses instead. People who engage in contact sports or have a generally active lifestyle can use ortho-k lenses instead of regular eyeglasses or contact lenses. In any case, it’s a good idea to set up an appointment with your local eye care clinic so you can be assessed properly, at which point you can decide if you think ortho-k lenses are something you’d be interested in trying. Park Slope Eye provides exceptional eye health products and services you can trust. Call us at (347) 560-8393 to schedule an appointment. We work with patients in Brooklyn, NY, and other areas in New York.